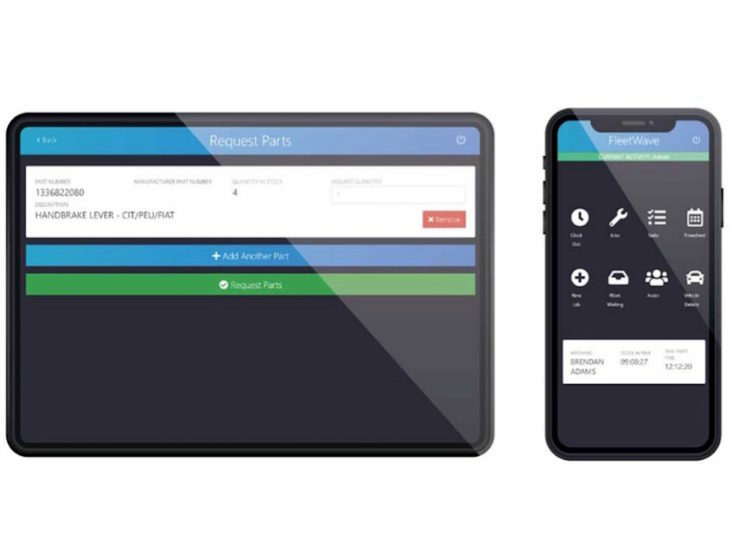 Chevin Fleet Solutions has launched a new vehicle maintenance management app, the Workshop Hub, designed to improve workshop efficiency and help generate cost savings. Trialled over six months by Chevin clients including Derby County Council, West Midlands Ambulance Trust and Cheshire Fire, the new tool has been developed to allow vehicle technicians to easily view and track progress and report on their assigned workload, which reduces administrative tasks. Designed for use on a tablet or smartphone, the Workshop Hub is a web-based app that gives greater accessibility for technicians to view assignments either within the workshop or remotely, out in the field. The tool provides a central location for technicians to complete job cards, track activity, request parts, carry out vehicle inspections, create timesheets and records non-productive time such as lunch breaks and training. All activity, forms and reports are automatically transferred into Chevin’s FleetWave fleet management software which then allows managers to view productivity. Commenting on the new solution, managing director Ashley Sowerby said: “Extensive research was undertaken to help develop the Workshop Hub, working alongside our clients and own in-house industry experts. Overall, we are very pleased with both the positive feedback from the trials and the overall product.